Here at Toronto Hyundai, we take pride in the quality and care we provide for our customers and are dedicated to maintaining top tier service at every visit. Whether you have a new or pre-owned Hyundai, all your servicing needs will be met and exceeded. 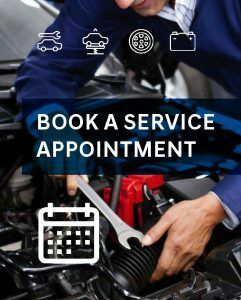 If you're in need of an oil change, transmission replacement or anything in between, our highly trained and qualified technicians will work hard to get you back on the road. As you wait, enjoy a complimentary warm beverage and make yourself comfortable in our lounge area while keeping yourself entertained with our big screen TV, free Wi-Fi and an assortment of magazines. Our service is on your time. We are proud to offer the longest service hours in the GTA so you can make an appointment when it's convenient for you. If you make an appointment and can't stay, we offer courtesy shuttle service and will gladly be your chauffeur for the day. Once your Hyundai has completed its service from our team, you'll ride home with a squeaky clean vehicle. We always want our customers to receive the best service, which is why we provide a free car wash at every visit. We are 30 minutes from everywhere, are the highest ranked Hyundai Dealership in the GTA and our team conveys the sense of community and building relationships to a whole new level. But don't let these words justify the experience, come see it for yourself.